The talk show host left The Wright Stuff earlier this year. The TV star announced in May that he was leaving The Wright Stuff on Channel 5 after hosting the show for 18 years. He has since been replaced by Jeremy Vine and the show has been given the name of the new host. 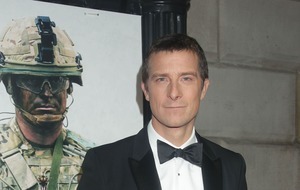 Appearing on ITV’s This Morning, Wright said: “It was a combination of lots of things really. Channel 5 decided to move it to a different production company to freshen it up. “Not long after that decision, a good friend of mine decided to kill himself which was very sad. “My wife and I, quite well known, we’d had long running IVF. Eight years of IVF, no joy. “So personally things were pretty stressed and strained. Got to Christmas, all my colleagues I’d worked with the best part of 18 years, nearly all of them were made redundant. Wright has since spent three months out of the spotlight, saying: “I’ve had a wonderful time with Mrs Wright, Amelia. I’ve had six weeks in the Caribbean. “I found, and different things work for different people, when I feel really stressed and mental health situations arise, that apart from changing and getting away from the source of your grief, that for me isolating myself really works. He has now returned to broadcasting with a new radio show and said he feels reinvigorated after his time away. “For the best part of a year, my head had been going around like that and that’s not a healthy situation to be in. While he said he did not watch Vine’s debut show, he did offer his verdict on his successor’s interview with controversial Celebrity Big Brother star Roxanne Pallett, who gave her first interview on the show after accusing Ryan Thomas of punching her. "I wasn't thinking straight… I need to become a better person." What did you make of Roxanne's apology this morning? He said: “I might have been a little bit firmer with her I think, but I thought Emma Willis did a really good interview on Celebrity Big Brother as well. “The same time, for everything that she did that was vile and unfair towards Ryan, it’s very interesting that the people that go out and say ‘you’re a bully or ‘you’re cruel,’ they don’t realise that by the time they’ve run Roxanne through the ringer, that they themselves have become bullies and cruel.